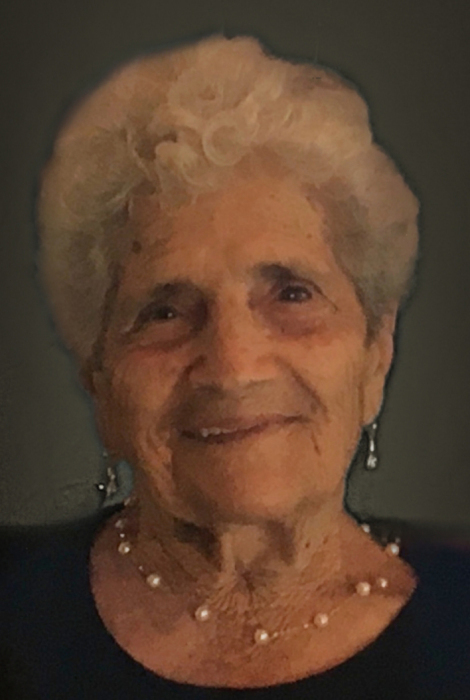 Lucia Paterno, 94, of Pawcatuck, CT passed away Saturday afternoon, March 16, 2019 peacefully at her home surrounded by her loving family. Mrs. Paterno was born in Bisignano, Italy on February 27, 1925, the daughter of the late Carmino and Filomena (Casavia) Vocaturo. She is survived by her sister Annunziata Meringolo of Bisignano, Italy; and by daughter Maria and son-in-law Luigi Fusaro, and grandchild Sabrina (William) Morrison and great-grandchildren Mikala, Lucas and Emma of Pawcatuck, CT; her daughter Julia and son-in-law Michael Walsh of Naples, FL and grandchildren Stefanie (David) Good of Marshfield, MA, Christopher of Boston, MA and David of Los Angeles, CA; her daughter Rosalba and son-in-law Kenneth Sorensen and grandchild Jonathan (Sharelle) Sorensen and great-grandchild Jalen of Westerly, RI; grandchild Jacquelyn (Gregory) Karney of Ashaway, RI; her son C. Peter Paterno and daughter-in-law Maria and grandchildren Christopher and Gabriella of Westerly, RI; and daughter Gina Fiore and grandchildren Michael, Nicholas and Thomas of Westerly, RI. She was predeceased by her husband Antonio, her beloved son, Franco; and her brothers and sisters Giulio, Santo, Eugenio, Elena, and Teresa. She was deeply committed to her Catholic Faith, attending for 40 years The Church of St. Michael the Archangel and more recently the Church of the Immaculate Conception. Mom’s strong devotion and dedication to her family was evident by her 65-year marriage to her beloved husband Antonio and to their six children and grandchildren. She endured many hardships in Bisignano caring for her five children by herself before the whole family was able to join Antonio in New York in 1968, where he was working trying to establish a better life for the family. Despite the language barrier, she worked outside the home for several years both in NY and CT effortlessly balancing the demands of work, home, and family. Her life revolved around her family and their many special gatherings, instilling the importance of family traditions in all her children and grandchildren. “Nanni” was a loving grandmother. Her home was like a second home to all her grandchildren, and when they visited, she made them their favorites: fried potatoes, zucchini flowers, spinach balls, her famous biscotti, and freshly baked bread. For years, she helped to raise and nurture each of them into the special individuals that they are today. She took pleasure in the simple things in life never taking anything she had for granted. She loved cultivating her large garden, many different fruit trees, sharing home-cooked meals and fresh garden produce with her family and friends. Her kind-hearted nature was shared by her willingness to lend a helping hand to her family and friends at any time. Despite her illness over the last six months, she never complained and greeted all visitors with a smile. Mom was blessed with many wonderful caregivers. We would like to extend our heartfelt gratitude to all of them, especially to Nadine and Cristina. In lieu of flowers, people can contribute to The Church of St. Michael the Archangel, 60 Liberty Street, Pawcatuck, CT 06379 or The Church of the Immaculate Conception, 111 High Street, Westerly, RI 02891.